Philippines Hosting: A “Stay-cation” with a twist! Did you know that your own home is a prime vacation destination? To an orphan in the Philippines, your home is an oasis where a child can find out what the love of a family is outside of the orphanage. Last winter, an amazing group of children had the opportunity to spend a “stay-cation” in a home with a family – we want to provide that same opportunity this summer for a new group of children. Make memories like the one in the photo with a host child and be an Orphan Warrior for one amazing kid! 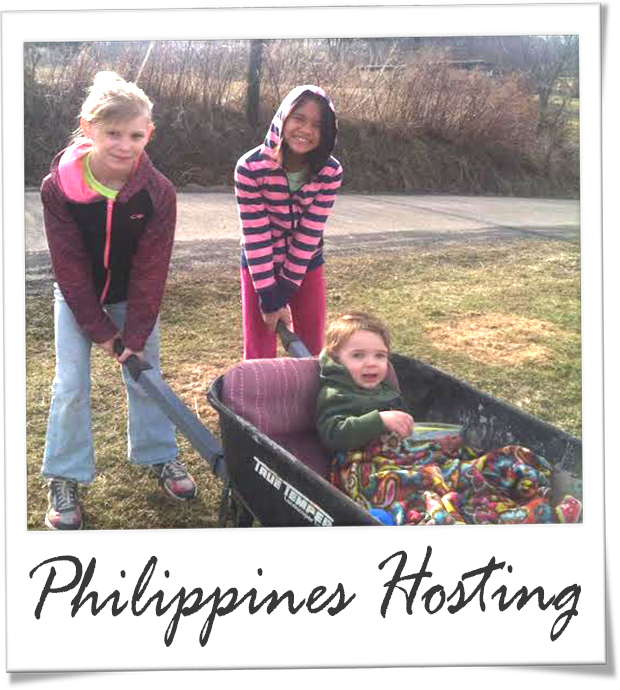 Bring one of the amazing children in our Philippines program to spend a 4-5 week long vacation with your family this summer! All proceeds go toward the children’s hosting costs. The kiddos in our Philippines program are healthy, know some English, and are excited to spend time with you and your family! Whether you want to host to adopt or host to advocate, WE NEED YOU! Hosting Grants ARE AVAILABLE NOW! Ask us today! Tentative dates are mid-July through mid-August, so if you’re ready to be an #OrphanWarrior, contact lacee@childrenofallnations.com or amanda@childrenofallnations.com for more details. Or apply today!